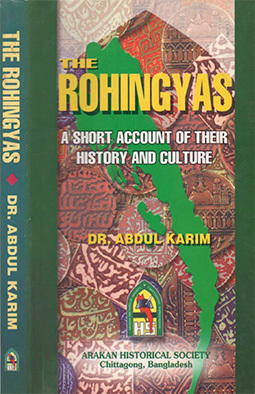 Myanmar must create a conducive environment for all Rohingyas. Prime Minister Sheikh Hasina today said the global community must act to get scrapped Myanmar’s discriminatory laws, policies and practices against Rohingyas to resolve the crisis involving them as she joined a high-level event on the global refugee issue in New York. “Bangladesh is now facing the largest forced movement in shortest time of over 1.1 million traumatized Rohingyas. 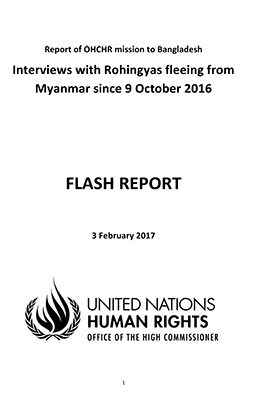 They have been forcibly displaced from their homes in Rakhine State of Myanmar where they had been living for centuries,” she told the event placing the three-point recommendation. Firstly, the premier said Myanmar must abolish discriminatory laws, policies and practices against the Rohingyas and address the root causes of their “forced displacement in a genuine and timely manner”. Secondly, She said Myanmar as well must create a conducive environment by building trust and guaranteeing protection, rights and pathway to citizenship for all Rohingyas. 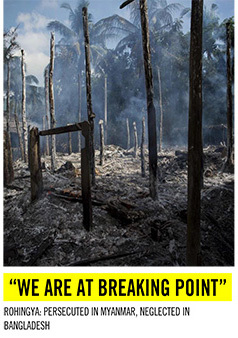 If needed, create a “safe zone” inside Myanmar to protect all civilians. Thirdly, Sheikh Hasina said the people concerned in Myanmar must be held accountable and exposed to justice to prevent atrocity crimes against Rohingyas in light of the Fact-Finding Mission of the UN Human Rights Council recommendations. The UN High Commissioner for Refugees organized the ‘High-level Event on the Global Compact on Refugees: A Model for Greater Solidarity and Cooperation’ at the UN Headquarters, where UN Secretary General António Guterres was present. The premier said, “While we are providing them with basic necessities, the magnitude of the problem has posed serious challenges for us. We have allocated over 6,000 acres of land for the Rohingya people,” she said. Sheikh Hasina, however, said that diversion of human and other resources for Rohingyas has taken toll on the society, environment and economy and the international partners, especially the UN agenciess, have been helping the Rohingyas. “Regrettably the current UN joint response plan of 2018 which requires USD 950 million has remained severely underfunded with only 33 percent funding secured. Humanitarian and development support of the international community for the Rohingyas and other affected communities must be predictable and in the spirit of international responsibility sharing,” she said. The prime minister reiterated that the Rohingya crisis has originated in Myanmar and the country has to solve the problem. “As a responsible government, we have opened our border and provided shelter to the forcibly displaced Rohingyas. By doing so, we have not only saved lives, we have stabilized the entire region by containing the crisis within our border,” she said. “Pending their return, we are trying to address their basic needs. Given scarcity of land and other sociocultural and environmental impacts, we are going to relocate them to a newly developed island called Bhashan Char where they will have better living conditions and livelihood opportunities,” the premier added. In the absence of any policy of local integration in Bangladesh, she said, the Rohingyas need to secure their future in their own country Myanmar. Urging the international community to help Bangladesh in achieving that, Sheikh Hasina said that the ‘Compact on Refugees’ has been adopted at a time when the world is faced with swelling refugee crisis. “Innocent people from various conflict-torn countries are leaving their homes for safety and security while many countries like Bangladesh are giving them shelter, protection and hope,” she said. Sheikh Hasina mentioned that most of these refugee hosting countries are developing countries with their own set of challenges and yet they respond to the call of humanity. “The world must recognize their contribution and help those countries shoulder the burden … the world leaders must come forward with political will and commitment, she said. The prime minister said that the world must not forget that every refugee desires a safe return to his/her homeland. “The displaced people from Myanmar have to return to their homes with safety, security and dignity,” she added. Sheikh Hasina said safe and sustainable return to the country of origin is particularly important to resolve protracted refugee crisis. “Greater attention needs to be paid to remove the root causes that drive people refugee, and those root causes lie in the countries of origin,” she said. The premier also said that the realization of the Compact should exhibit stronger commitment to addressing those root causes; rather than focusing on response to an emerging situation only.